FIFA has slammed a four-match ban on Barcelona star, Lionel Messi after FIFA received a complaint about Messi’s behaviour during Argentina’s World Cup qualifying match against Chile on 23 March. The ban announced on Tuesday sidelined Messi in Argentina’s crucial match against Bolivia. Argentina went on to lose and are now fifth in the race to qualify for the 2018 World Cup in Russia. Messi reportedly launched a foul mouthed rant against the linesman during Argentina’s previous match against Chile, which they won 1-0, via a penalty, which Messi scored. 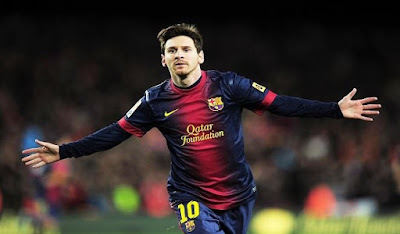 Messi was angered late in the game when an assistant referee, Emerson Carvalho flagged him for fouling an opponent. He waved his arms and shouted profane insults at him. Television cameras picked up some of Messi’s words, which were far from flattering. After the game, Messi refused to shake hands with Carvalho, who seemed to have annoyed him. The match referee, Sandro Ricci, initially did not mention the incident in his match report but later extended it to include Messi’s insults towards his assistant. With the ban, Messi will miss Argentina’s game against Uruguay away on 31 August, Venezuela at home on 5 September and Peru at home on 5 October. He will be back for the final qualifying game away to Ecuador on 10 October. “They have cut the legs of Messi and the Argentine national team,”he said. “We are going to appeal,” said Armando Perez, president of the Argentine FA’s interim board. He acknowledged that Messi “made a mistake by insulting” the linesman, but argued that FIFA’s sanction was disproportionate. “This is more political than anything else,” he said. Footballer Lionel Messi has been found guilty of violating art. 57 of the FDC for having directed insulting words at an assistant referee. As a result, Lionel Messi will be suspended for four official matches and sanctioned with a fine of CHF 10,000. The first match for which the sanction will apply is the next fixture in the preliminary competition of the 2018 FIFA World Cup Russia™ between Bolivia and Argentina, which will be played today, 28 March. The remainder of the sanction will be served over Argentina’s subsequent FIFA World Cup qualifying matches. This decision is in line with the FIFA Disciplinary Committee’s previous rulings in similar cases.